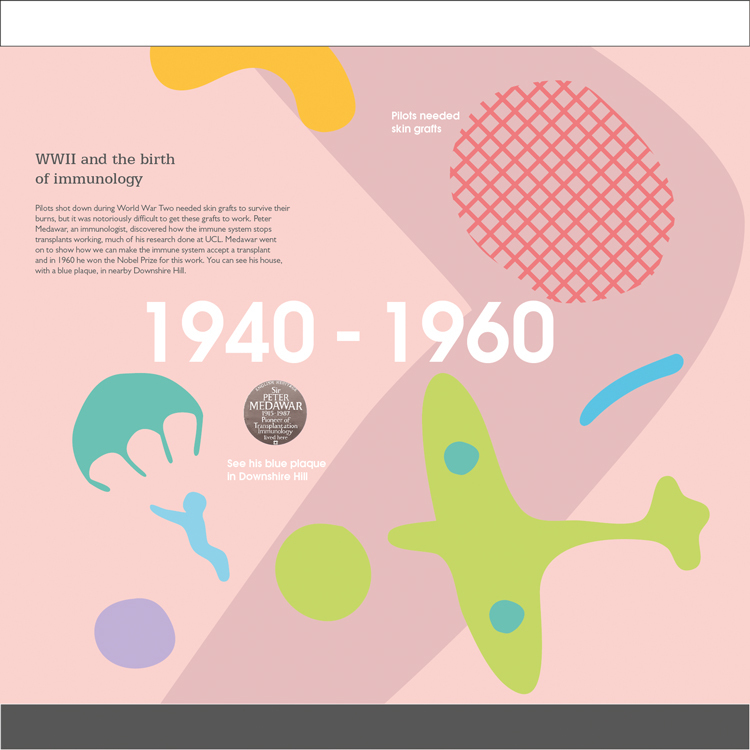 Design studio To The Point has created graphic hoardings to go up in London to educate the public about a new medical research centre, as well as encourage young people’s interest in science. The Pears Building will be a £42 million immunology facility, built next to the Royal Free Hospital in Hampstead, North West London, and is due to open in Autumn 2020. To The Point has designed 67 graphic panels that stretch across 70-metres, which is the circumference of the future building. 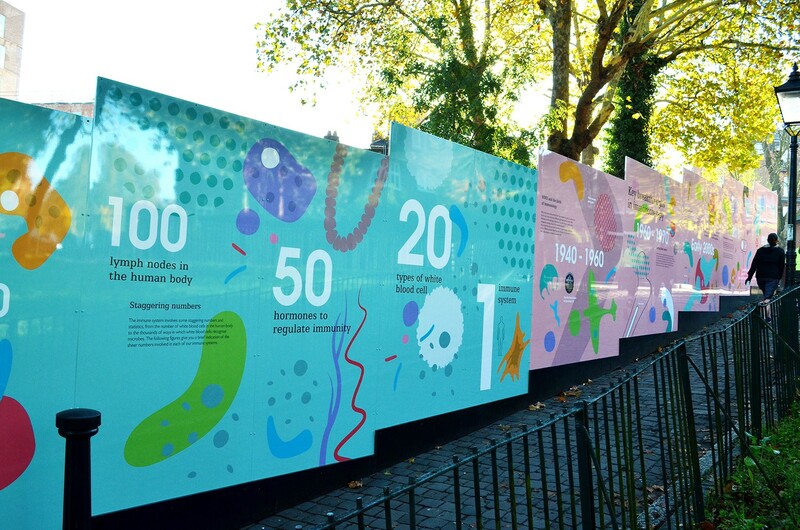 The hoardings are split into four informative sections: the science behind immunology, the building, a timeline and history of immunology and a community section that includes illustrations, drawing and comments from the local public, including children from Fleet Primary School in Hampstead. Since going up, the hoardings have “created quite a stir” with many people stopping to read them, says Kevin Cox, creative director at To The Point, which is the whole point of the project, he adds. “Our remit was to engage with the community, by informing them of what’s coming while educating them about the groundbreaking work that will take place there,” he says. 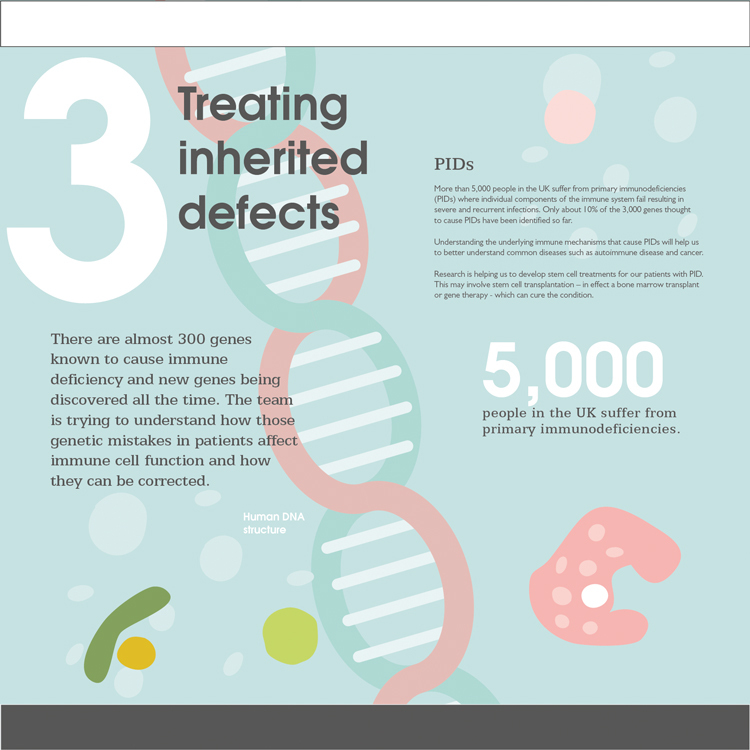 He hopes that the graphics will help to tackle “scepticism” surrounding genetics-based medical research, both with regards to its extent of use and its cost. “When people think of stem cell research, they automatically think of Dolly the Sheep, cloning, and designer genetics,” he says. “They focus on where this technology is being taken and how it could be abused. But research like this could be really beneficial to society – most scientists would agree that [immunology] has opened up a whole new arena where things there were previously untreatable have become treatable. 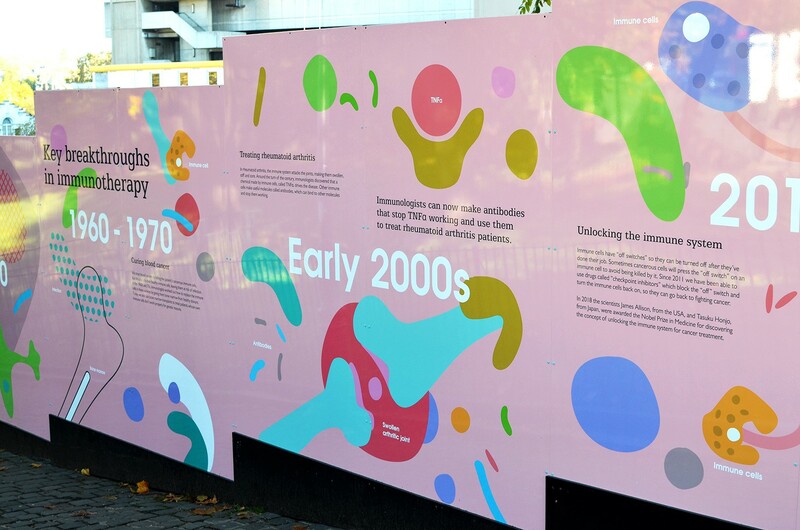 The hoardings are pastel shades of pink, blue and purple, with many colourful graphic shapes representing cells, chromosomes, viruses, antibodies and other scientific elements, used alongside large-sized, succinct text in a mix of sans-serif typeface Gill Sans and serif Egyptian. 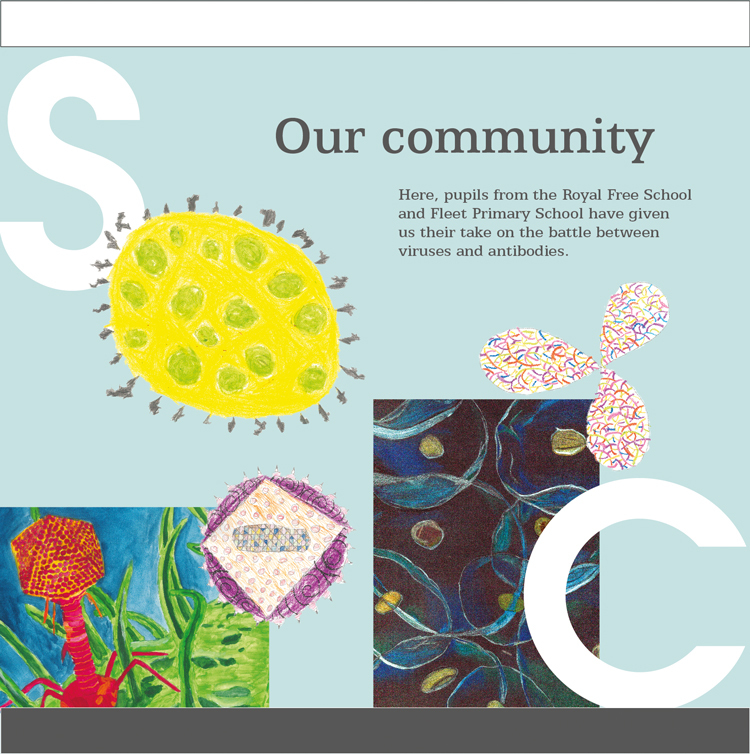 This is used alongside photography, and illustrations, some of which have been created by the community. 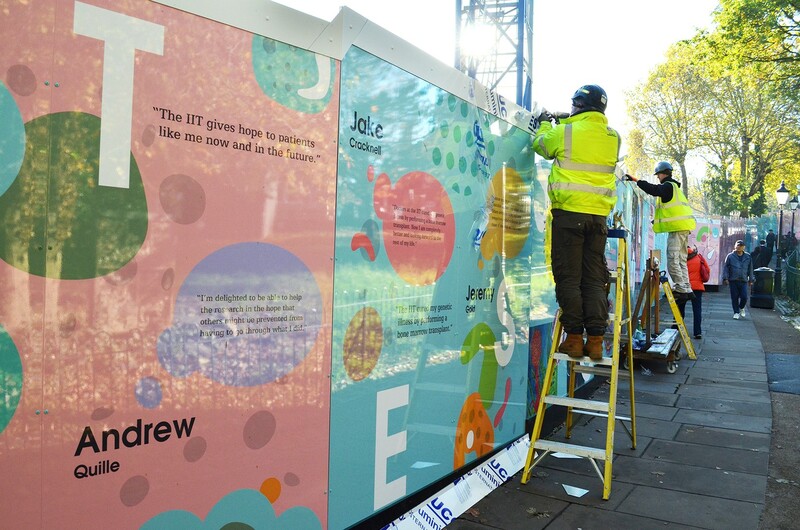 The colourful design aims to entice people to read the hoardings, and also encourage young people to take interest in science and careers in the sector. 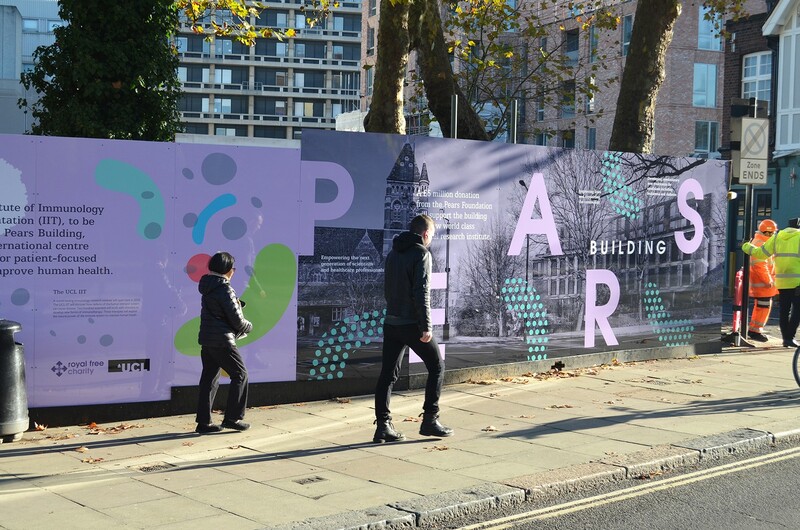 He adds that the studio steered away from the Royal Free Hospital’s “rigid purple-and-white colour structure” and opted for a broader, pastel palette to help the hoardings feel “approachable” rather than “corporate”. 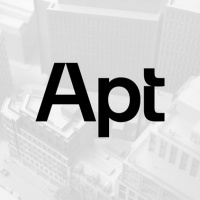 The mix of sans-serif and serif typefaces aim to allow “flexibility and contrast” in how text is presented. He also says that the information on the hoardings was broken down into “bitesize pieces”, with a mix of “technical and light-hearted stuff”. The studio worked with medical professionals and scientists to gather the information, by asking them to provide the studio with only two or three key points related to their area of speciality, with the studio then putting these in “lamens terms”. 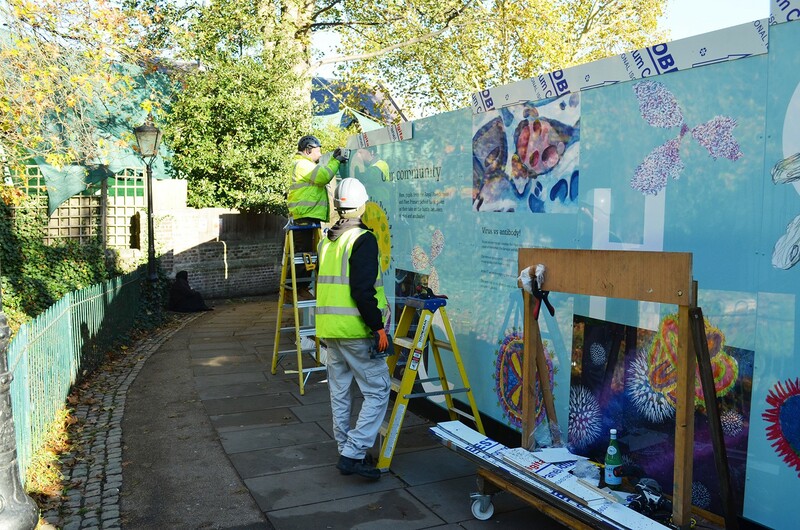 The hoardings are now up in Hampstead, London, next to the Royal Free Hospital, with the new centre for immunology due to open in 2020. 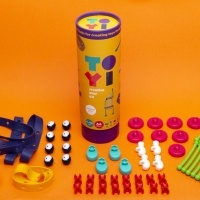 Our core readers are designers, not scientists – so yes, sometimes we need to put other topics in layman’s terms to make them more accessible.